Every adult in Britain faces a debt of £4,119 to pay for schools, hospitals, and other infrastructure paid for by controversial financing deals, according to an analysis of the Treasury’s latest estimates on future repayments. Private businesses are owed over £209 billion in the next 35 years – the result of more than 700 private finance initiatives (PFIs) signed by government – in what experts have slammed as a scandal. PFIs are agreements in which companies fund the construction of buildings and creation of infrastructure, such as roads and IT systems, which are then effectively leased to the public sector in contracts which can run for decades. The private sector makes a profit out of unitary charges – a combination of loan repayments and fees for services, such as property maintenance. The past year has seen a record £10.5bn, a sum which equates to 0.5 per cent of Britain’s Gross Domestic Product, spent on the annual charges. PFIs were developed by the Conservative Party in the early 1990s but since both Labour and Conservative governments have signed up to the deals. To date more than £97bn has already been paid in unitary charges on contracts going back to 1992. 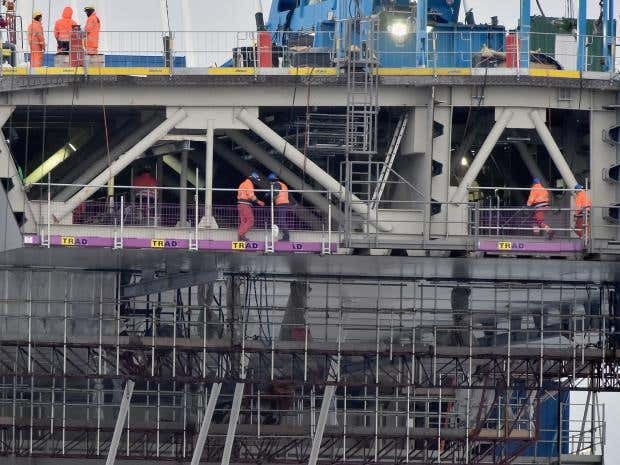 By the time the PFI contracts have all been paid off – in 2049/50 – they will have cost £307bn in total, according to new figures released by the Treasury last month. This is more than five times the £57bn the assets are actually worth. One in five PFI assets will remain in private, rather than public, ownership even after the contracts have ended, according to a Government source. Yet despite the growing concerns over the burden of keeping up with the annual charges, the past year has seen PFI deals finalised, or nearing completion, for assets worth more than £1.5bn. This means the future debt is set to increase by millions over the coming years. Labour leader Jeremy Corbyn cited the “legacy of PFI debt” when criticising his predecessors Tony Blair and Gordon Brown for their “unsustainable” handling of the economy, in a speech to the British Chambers of Commerce annual conference last month. It recently emerged that a school built in 2004, which closed a decade later is costing Liverpool council £12,000 a day due to the terms of a 25-year PFI contract. And Barts Health NHS Trust in London, which has to pay back more than £7bn in a PFI contract lasting more than 40 years, is expected to be £134.9m in deficit this year.